Very peaceful fish, even to small fishes. You should keep this fish in a large aquarium with a lot of hiding places. The fish is only active during twilight. Then he is looking for algae. Plants are not damaged. 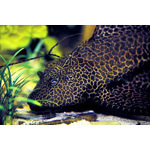 The fish mainly eats algae and leftovers from other fishes. About breeding in the aquarium nothing is known. 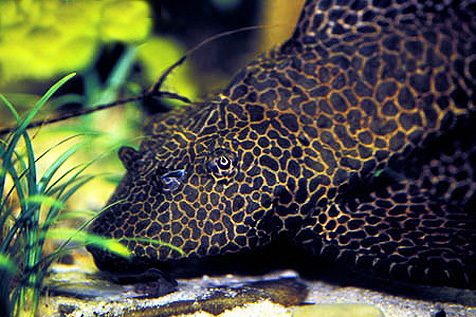 The aquarist may want to obtain a group of 2-3 small individuals to enjoy this wonderful pleco.